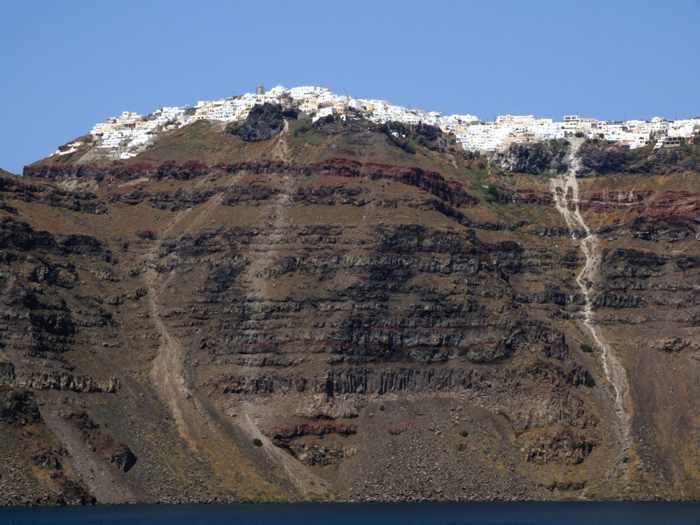 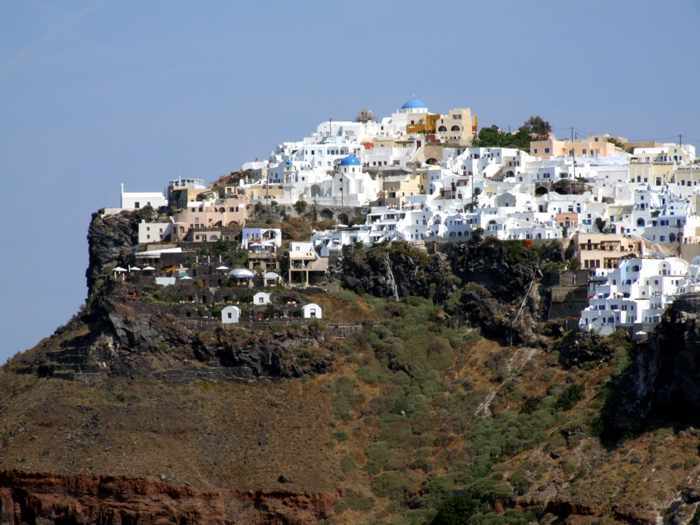 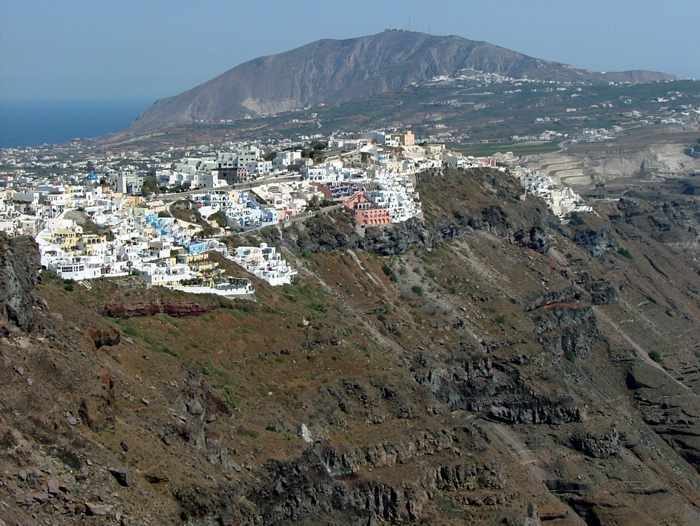 Click on the arrow to view Santorini volcano history, a fascinating 6-minute video by Santorini resident Nikos Korakakis. 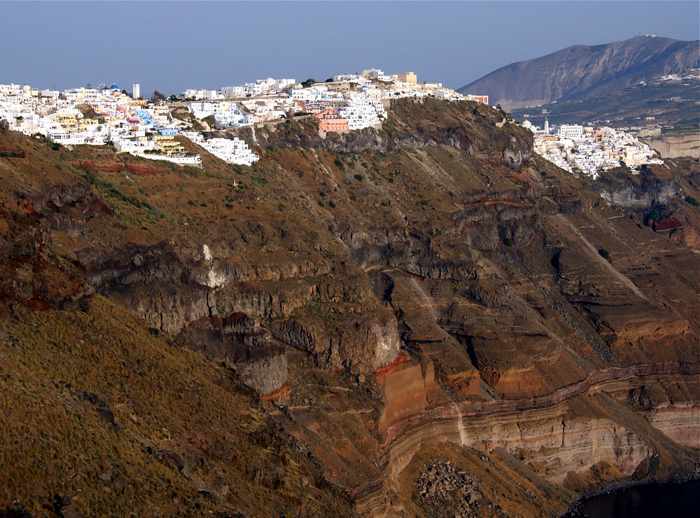 Captivating cliffs: Like most people who have visited Santorini, I know that the island’s distinctive crescent shape was created by hundreds of thousands of years of volcanic activity. 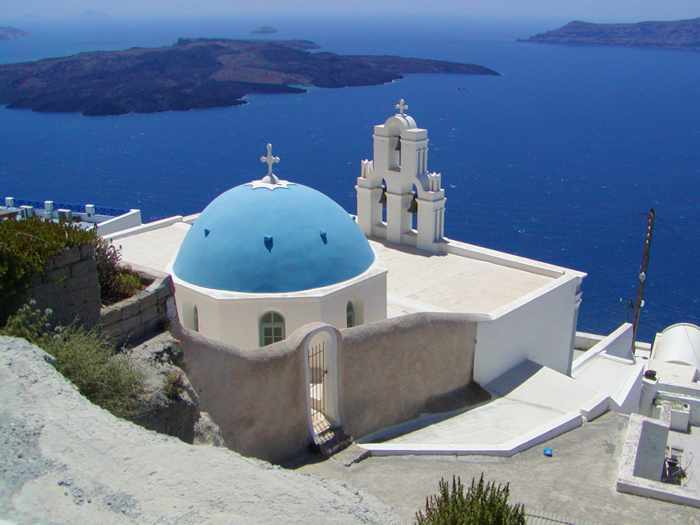 I’ve read about it in travel guides, and I have seen illustrations of the island’s various different shapes over the centuries in some of the souvenir books I’ve collected on our travels. 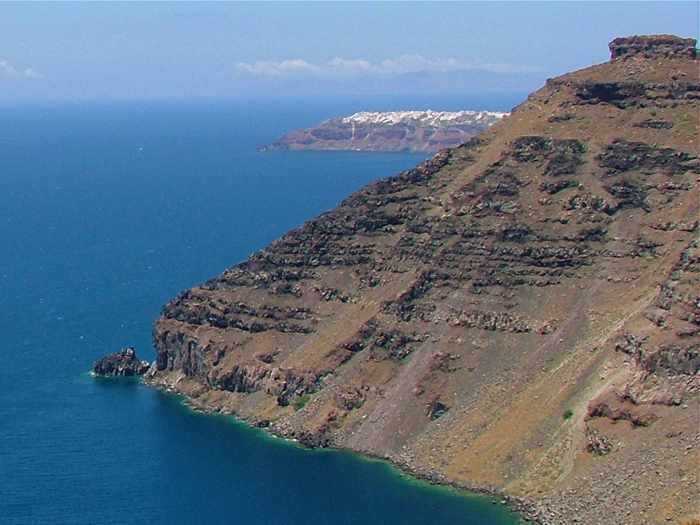 But a video that I recently discovered does the best job, in my opinion, of showing precisely how the volcanoes and the course of time have shaped the Santorini of today. 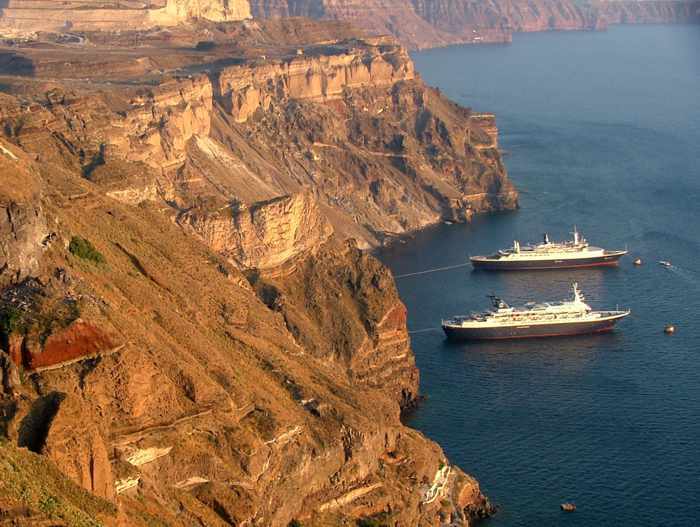 Produced by Nikos Korakakis, an art director who lives and works in Santorini, the nearly 6-minute-long film is based on research by scientists, institutes and universities. 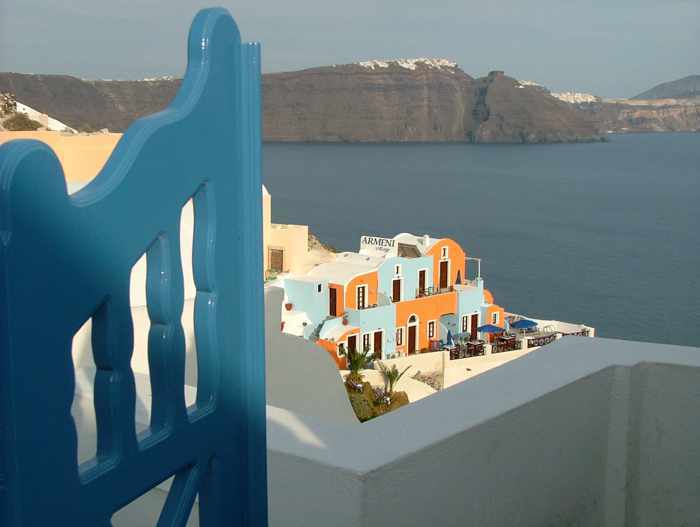 It features narration (in Greek) by Anastasia Platanioti and music by Ross Bugden. 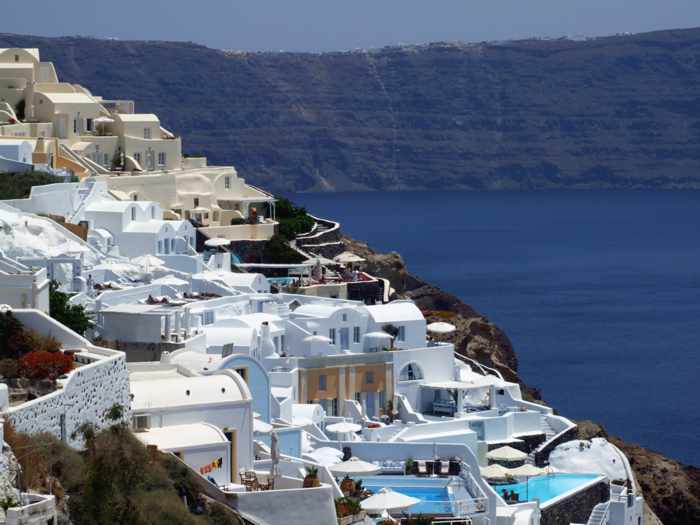 Although the narration is completely in Greek, you don’t have to understand the language to follow the video — the film includes explanatory English text superimposed on the animated illustrations. 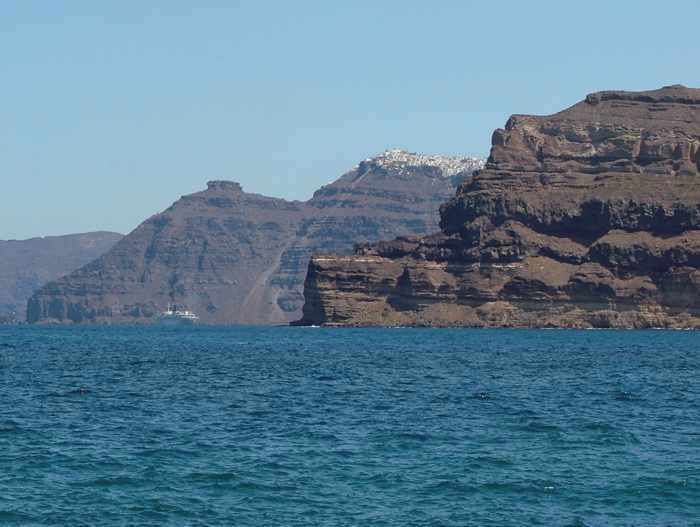 Click the arrow at the bottom left corner of the video screen (top) to watch how centuries of volcanic activity created the spectacular island scenery that will enthrall more than a million visitors from around the world this year. 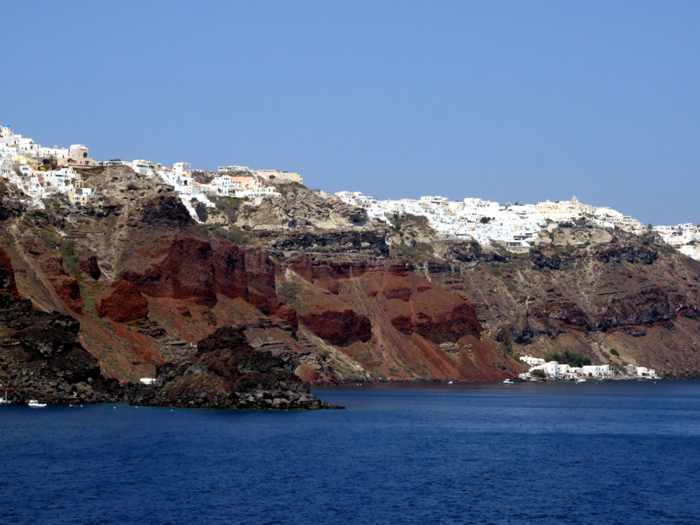 Below are just a few of the photos we have shot of the magnificent caldera cliffs that have taken our breath away on three visits to Santorini. 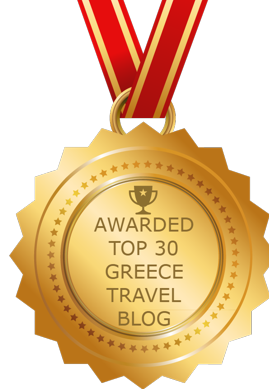 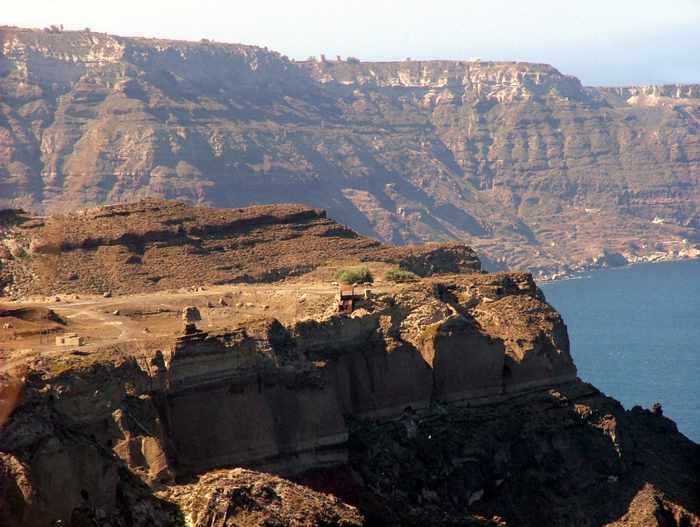 You can full-size versions of those images, along with dozens of additional photos, in The Cliffs, an album on the MyGreeceTravelBlog Flickr page. 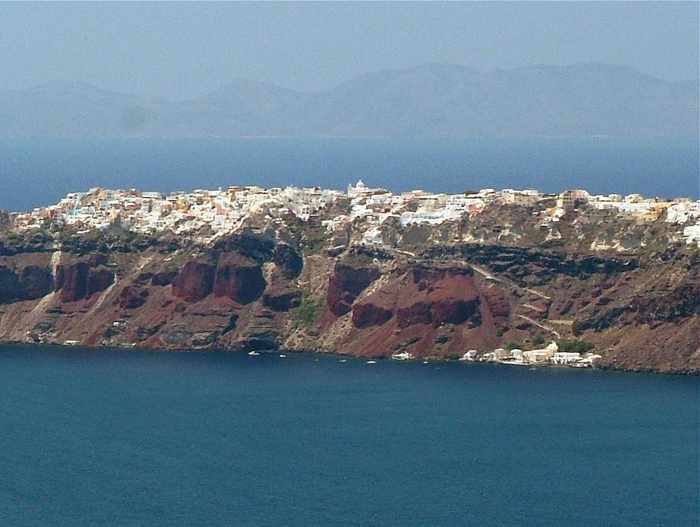 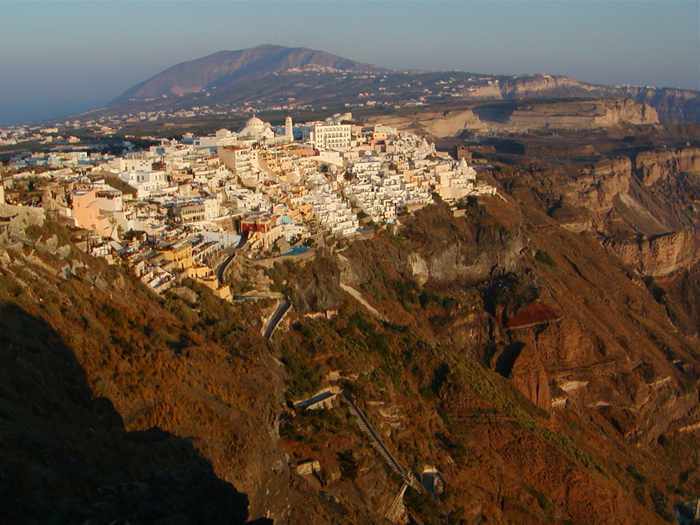 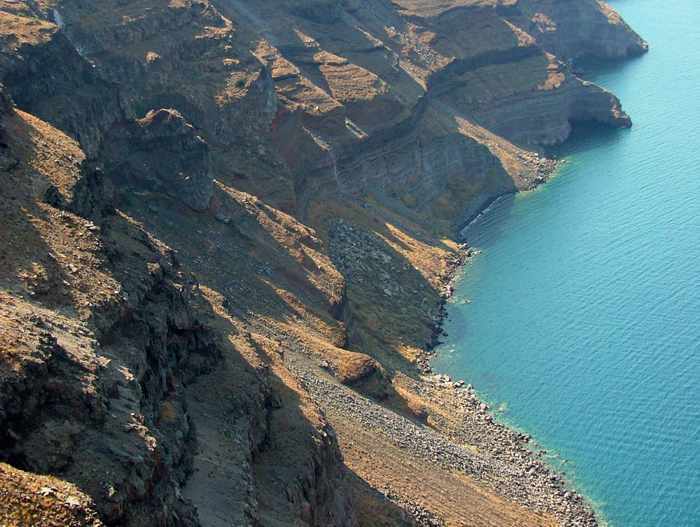 Click here to view 125 photos of the caldera cliffs on the MyGreeceTravelBlog Flickr page.